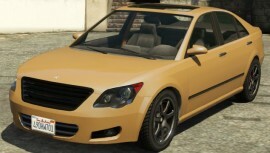 The Karin Asterope is a four-door luxury sedan featured in GTA 5. 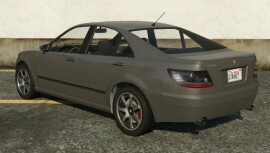 The car styling is clearly inspired by the XV40 Toyota Aurion and the XV40 Toyota Camry. 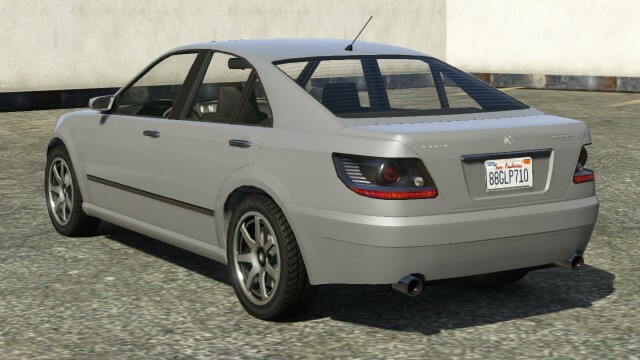 In GTA 5, It appears to be the cousin of the Karin Sultan, as both cars are similar in build and have the same manufacturer. 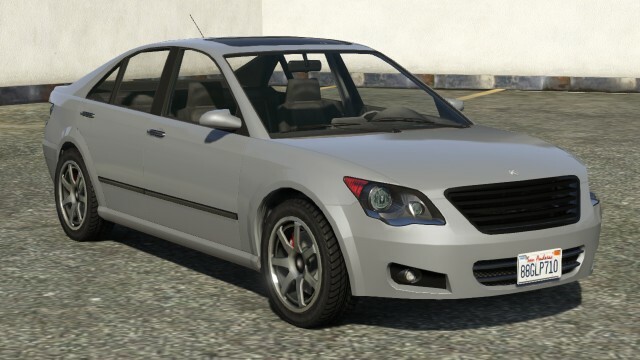 The front of the Karin Asterope appears to be inspired by Japanese styling featured on the XV40 Toyota Aurion. The sides and rear are inspired by the XV40 Toyota Camry with a few styling cues from the 2nd generation Lexus IS. The front end of the Asterope features typical Japanese geometric formations. The dominant feature of the front bumper is a slatted, trapezium-shaped duct, occupying a third of the car’s width. Either side of the duct are smaller, inset quadrilateral ducts which house circular foglamps. License plates are mounted centrally on the main bumper duct. A short distane above the main bumper duct, a sharp curve separates the bumper from the hood/bonnet. A short distance above the curve is the main grille. The grille is a large chrome-edged trapezium, with curved edges and horizontal chrome strips. A short distance away from the grille are headlamp units that are similar in height to the grille. The headlamp units house two clear circular lamps closer to the grille and a small amber turn indicator lamp further away. The headlamp unit’s outline feature a small bump in the lower edge, contoured to the larger clear lamp. The manufacturer emblem is placed centrally just behind the grille. The car’s hood/bonnet lacks any formations. The Karin Asterope utilizes a 3.5-liter V6 engine and features rear wheel drive. Despite its soft suspension, handling is quite respectable for a vehicle of this size. 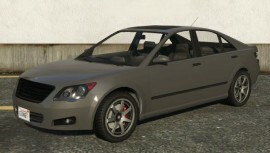 The top speed is surprisingly good, and can keep up with more luxurious and expensive cars such as the Ubermacht Zion and Ocelot Jackal. The soft suspension may lead to excess body roll, and this may make the vehicle unstable at high speeds and may lead to some oversteer. Acceleration is decent. Braking is fair. Durability is average, as the car can take several strong head-on crashes before the engine fails. Spawns at Big House Storage Inc. on Autopia Parkway from the district of Los Santos International Airport. Very common in East Los Santos and East Vinewood. Part of The Business Update. 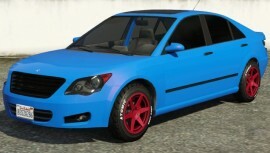 In GTA Online, Karin Asterope sells for $2,600 in Los Santos Customs.